Just finished building my CX-1. Thread: Just finished building my CX-1. I just finished up the build on my Colnago CX-1. I plan on making a few changes before Spring but for the time being it is complete. Better pictures will come later. Sharp. What tires you running? Thanks. They are Continental 4000's. Nice! Waiting for my CX-1 frame..
What computer are you going to use with the powermeter? Thanks and yes, it is a 52. I will be using my Garmin 705 with the Quarq. Nice aquarium too. Those live plants and discus in there? What size tank? Thank you. The majority of the plants are fake. It is just a 55 gallon with a single red devil. My larger tanks are in another room, they are 210 gallon and 300 gallon Central American cichlid tanks. Nice Psimets and a great build. Enjoy! Thank you. I'll get to take it for it's first ride one of these days. Taking it for it's first ride tomorrow, finally! [QUOTE=LowCel]Taking it for it's first ride tomorrow, finally! I am betting you will be very happy with the ride and handling. You are absolutely correct, it was awesome. Definitely one of the nicest bikes I have ever ridden. A few new pictures of the old girl. Like. I'd rather have a CX-1 than a C59 Italia, but I'm like that. 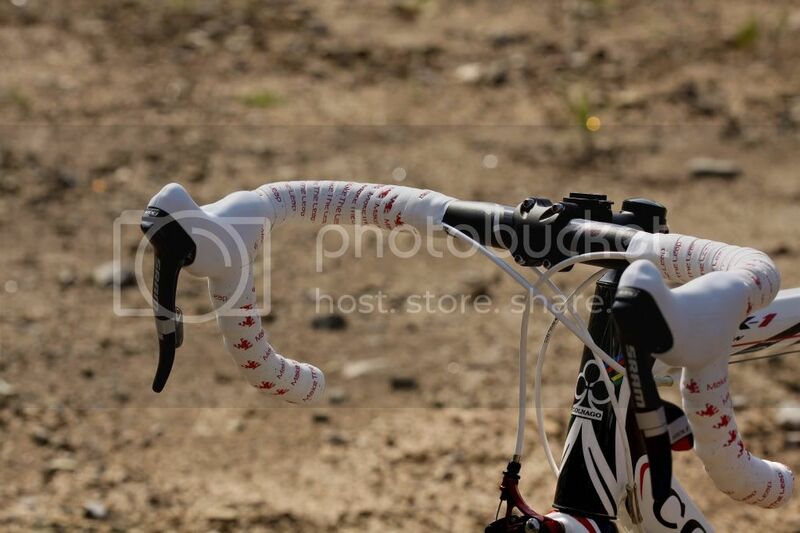 Beautiful bike and nice pics! 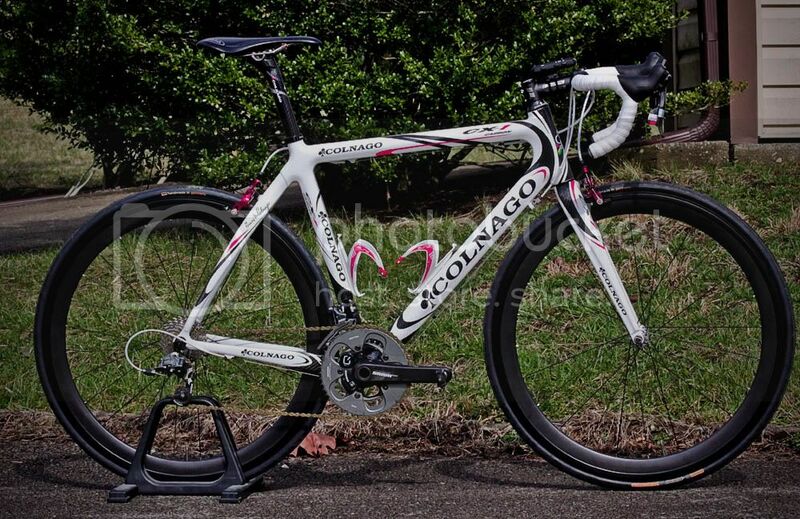 Was about to purchase a 2011 sale priced Felt F 5 to replace a road bike I left back in Hawaii but ended up test driving a Colnago CX-1 and made a somewhat impulsive, mid life decision to throw down the additional $ for it instead. 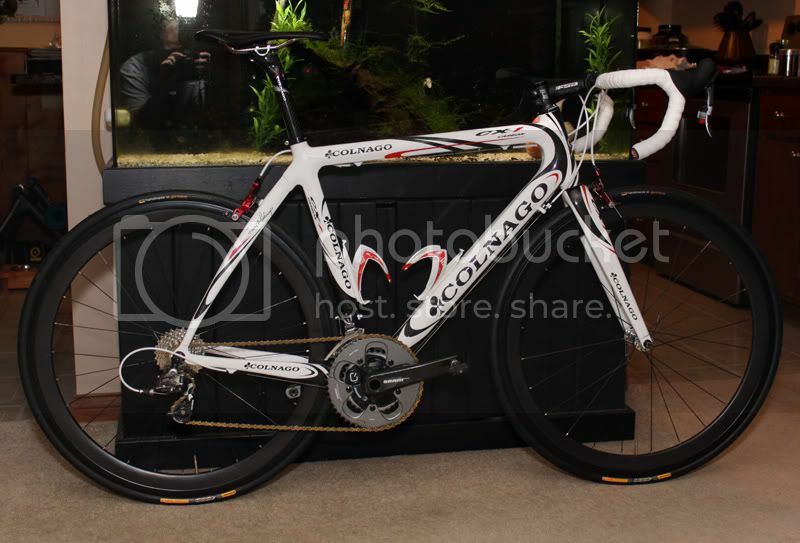 I've always wanted a Colnago and despite this one being mfg in pac asia with other carbon makes, I am still seduced by the allure of the Colnago brand. The great look of the bike (imho) along with the brief test ride, + reviews, helps to assure that I made a good choice. Mine will be a size 48, 2011 model in the black color w/ the stock Ultegra drivetrain build from Sportsbasement in Walnut Creek CA. The Ultegra 6700 is a nice stuff Im already thinking that I may swap it out for Record 11. Last edited by enr1co; 08-25-2011 at 06:49 AM. I demo'd a 2011 CX-1 Evo with SRAM Red last night and was really impressed. I took it for a 70k ride and it handled beautifully yet still absorbed the road vibration better than my five year old Trek 5000 (TCT). 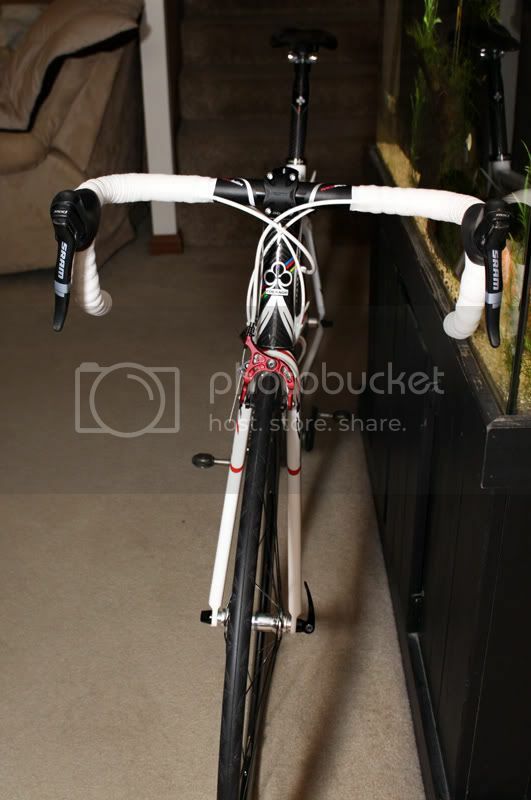 The bike was a close fit for me and if I were to purchase likely just need to shorten the stem a little. It was extremely comfortable in the drops. I'd probably like a little bit of a lighter wheel as well. I was also surprised how good the SRAM Red was. I had a somewhat poor experience with a previous demo that had SRAM Force, but I suspect it was simply not tuned as well. The poor Force experience may likely have been attributed to bad tuning. Most SRAM, ( Red, Force, Rival) Ive experienced, feels quick and accurate. I currently run Red shifters with a Force rear and am very pleased and impressed with the feel, performance. 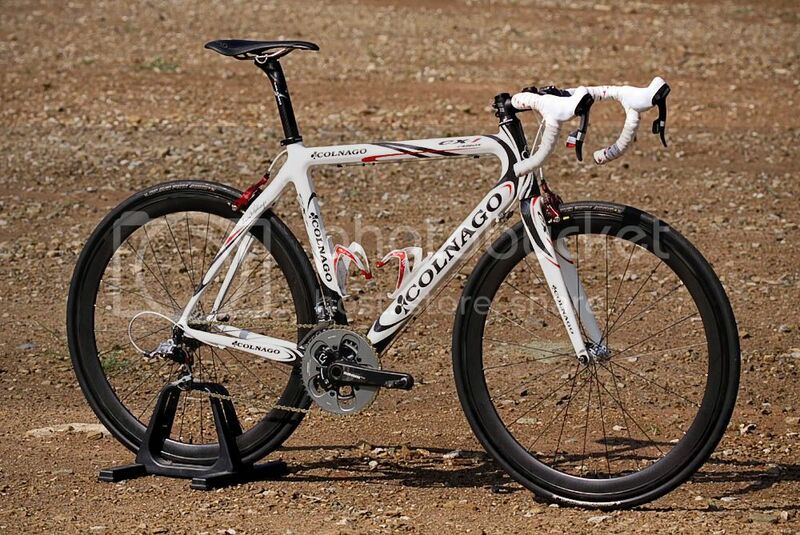 Additionally, a new 2012 with new Di Ultegra is not likely going to be discounted much. The $ saved on a 2011 unit could possibly fund Di on its own or a wheel upgrade from those stock Aksiums. Last edited by enr1co; 08-25-2011 at 10:58 AM. Decided to take your advice and was able to negotiate a very fair price on the 2011 CX-1 Evo. I ended up getting a set of Speedplay Zero titanium pedals and Mavic Ksyrium SL wheels to round out the package. On Saturday I'm going to go in for a fitting and then should be out on the road shortly thereafter. Can't wait! Cool- Congrats on the purchase! The SL wheelset will bring the already great ride experience to another level! Did they include the Garmin 800 shown in the pic or was that already yours? You can't like a CX-1....don'tcha know? It's not Eye-talian. It ain't got lugs. Stupid Asian piece of crap! The Garmin 800 was bought separately. I had been using a Garmin 500 but I gave it to my wife for her new bike. The 800 is nice and I'm still learning some of the features. It's fun using it to create routes and then going back and racing myself. I'm still waiting for my red titanium Speedplays to arrive. Hopefully have them next week. I'm using my old chromoly Speedplays for now. During the bike fitting we shortened the stem down to 90mm. They did not have a 90 mm Colnago/FSA stem in the shop so they put on a cheap 90 mm stem for now while he tried to track me down a proper Colnago one. The bike definitely feels fast on the road. I ran a few of my favorite routes and was 2 km/hr quicker according to Garmin than my previous best with Trek 5000. Not too shabby. Some of it may be due to more aero positioning in the drops. 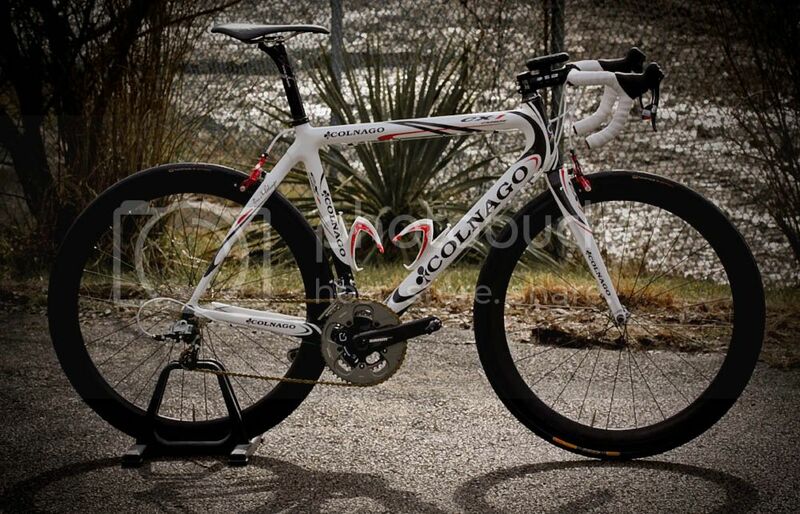 The ride on the Colnago is so smooth. Just finished putting together my new It-tai-lian Col-tai-nago and squeezed in 50 miles/ 5000 feet of climbing this past Labor day weekend- definitely light and snappy feeling on the ascent and rock solid responsive going down. Purchased it with the factory Ultegra build but immediately pulled most of it to sell off(except for the front deraileur and chain) and replaced it with my SRAM Force drivetrain and Red Levers from my Ibis Hakkalugi CX bike. Will save up my food stamps for a couple months and rebuild with Campy 11 and place the SRAM back on my Lugi'. Last edited by enr1co; 09-07-2011 at 12:18 PM. 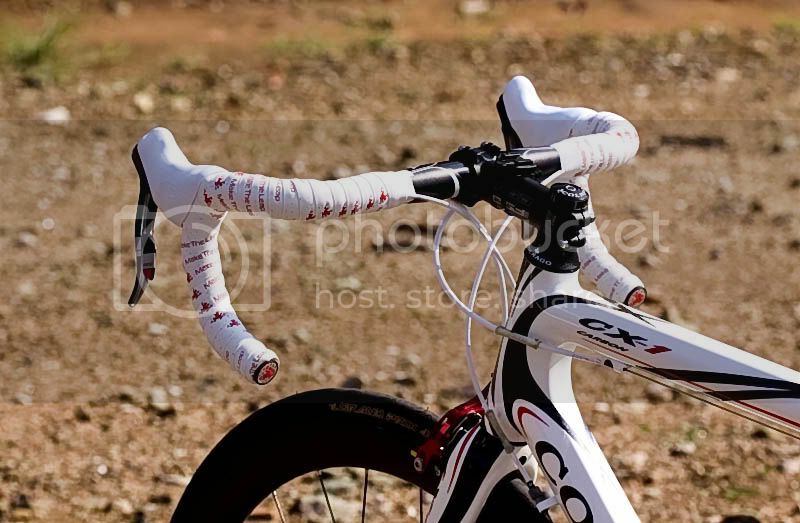 The stock 40 c-c Colnago carbon finish/ aluminum bars also had to go as they were just too narrow. I had some 42 c-c Ritchey bars in the garage to match the stem and will just sell off the Colnago bars. The Ritchie stems looks very nice on the bike. I might need to consider that. 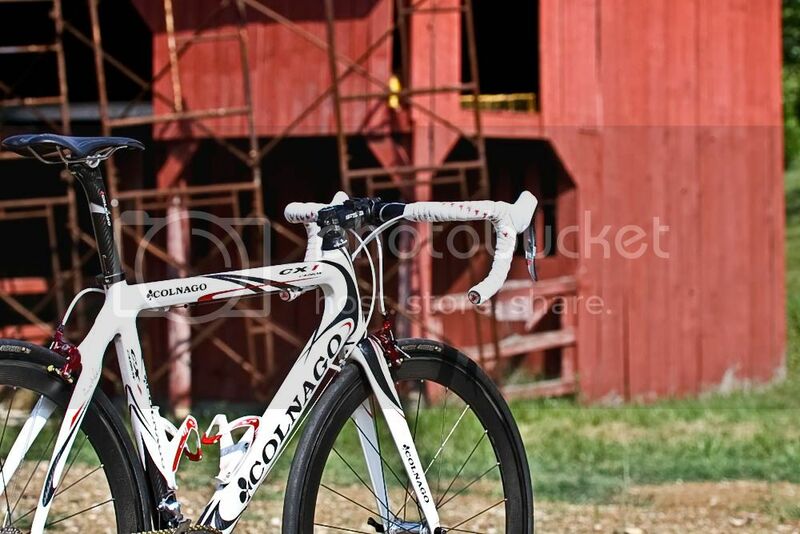 I'm still waiting to hear back on the Colnago stem for local shop. Once I have all the parts together I'll post some updated pics. I just completed the build tonight and have not even ridden it yet!! !